Alcoholic beverages are not to be consumed for three days after your surgical procedure. Alcohol may thin the blood and cause bleeding. Do not take Vitamins, Aspirin or Ibuprofen or Arthritis medication for at least 3 days after your procedure. These medications will thin the blood and may result in excessive bleeding. For pain and/or headache, please use non-aspirin containing medication such as acetaminophen or the pain medication prescribed to you. Consult the doctors should you be in doubt. You should refrain from exercise, such as running, cycling, and weight lifting, as well as activities such as golf, baseball, soccer, etc. at least THREE days after your surgical procedure. Such activity, when enjoyed prior to this critical period may result in bleeding and loss of grafts, as well as intense swelling around the eyes and forehead. Vigorous physical activity should be avoided for one week after surgery. Do not bend over or engage in any lifting for at least 48 hours after surgery to avoid bleeding or excess swelling. Keep your head and upper body elevated above the level of your heart during this time, especially when sleeping. In occasional instances, minor bleeding may occur from one or more of the graft sites. This can be alleviated by applying light pressure to the area with a moist clean cloth for 5 to 10 minutes. Be careful not to disrupt surrounding grafts. Apply ice packs as follows: In the donor area, an ice pack is applied directly to the area of the suture line for l0 minutes per hour, while awake, for 3 days. Please apply a gauze pad to the area first, and place the ice pack on top of this. In the recipient area,DO NOT apply the ice pack directly on the grafted site. Rather, place the ice pack on the forehead for ten minutes per hour, while awake, for three days. The more you keep this ice pack in place, the less your chances of swelling. 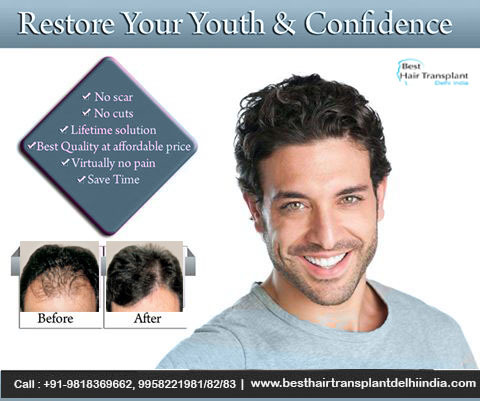 One of the minor sequelae of hair restoration surgery is swelling. If swelling occurs, it usually does so approximately 48-72 hours after your surgical procedure. It isPAINLESS, and will begin on the forehead and over the bridge of the nose. It may proceed to surround the eyes. If this occurs, do not panic. The swelling will subside spontaneously in 2 to 3 days. Use ice packs on the swollen areas and relax. Refrain from any strenuous activity. Sleep with your head and upper body propped up on several pillows for the first 3 to 4 days. This will prevent swelling of the forehead. Alternatively, sleeping in a lazy-boy recliner with your head and upper body elevated for 48 hours is also effective. Do not wash or disrupt the grafts for 24 hours after surgery. After this time shower and wash your hair by lathering the shampoo in your hand and lightly applying to the grafted area as well as the donor site. Rinse with cool water and light water pressure. These precautions should be taken for 5 days after your surgical procedure. Thereafter, normal shampooing may be resumed. It is advisable to use a thick moisturizing conditioner daily on the grafted sites as well as in the donor area. Apply carefully, and let the conditioner remain on the area for 5 minutes, then rinse gently. This will significantly decrease scab formation. Apply light pressure on the grafts with a towel or gauze pad after exiting the shower. This will absorb any blood that has formed on or around the graft sites. If you are using a blow dryer, use on acool setting for the first five days after surgery. Warm air could cause minor bleeding at one or more of the grafted sites. It is recommended that Graftcyte be sprayed onto the grafted area 4-6 times a day for at least the first week following surgery. This accelerates the healing process. This product may also be used on the donor area. The graft sites will form scabs in 24 to 72 hours after surgery, and the scabs fall off in 3-10 days. As the scabs fall off, you may notice that hair is shed with them.THIS IS NORMAL. Do not pick or scratch the scabs, doing so can cause infection and endanger the survival of the grafts. If scabbing persists beyond 14 days, you may not be shampooed vigorously enough. Remember, the critical period after surgery is 5 days. Precautions in shampooing, etc. are to be adhered to during this time. Several weeks after your surgical procedure or any time thereafter, an ingrown hair(s) may appear. This will take on the appearance of a small pimple or painless bump in either the donor or recipient areas. Apply a warm washcloth or compress to the area for 10 minutes three times a day. If after 3 days there is no relief or if the area becomes reddened, swollen, tender, or inflamed, contact the office. If Rogaine is being used, please discontinue it for 4 days following surgery. Swimming in water containing chlorine is not recommended and should avoid for at leastSEVEN days following surgery. Swimming in salt water is HIGHLY RECOMMENDED three days after surgery, although it is not a necessity. It is recommended that our hair care products: the shampoo, conditioner, and replenisher be used after your procedures. Your hair will be cleansed thoroughly and the products will create an optimum environment for graft growth and maturation. Suture removal and a check of your surgical sites will be performed 7-10 days after surgery. A return appointment will be scheduled before departure.